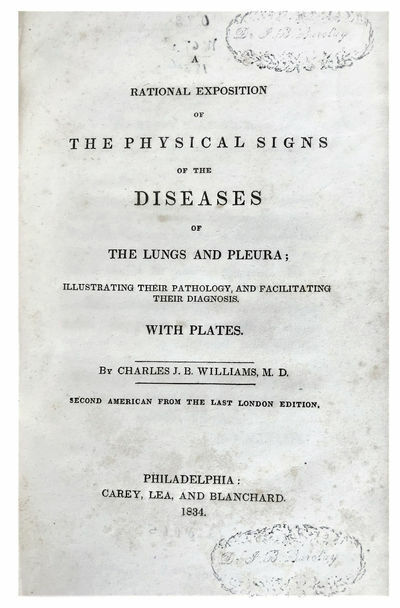 A Rational Exposition of the Physical Signs of the Diseases of the Lungs and Pleura; Illustrating Their Pathology and Facilitating Their Diagnosis. Second American from the Last London Edition. by WILLIAMS, Charles James Blasius (1805-1889).